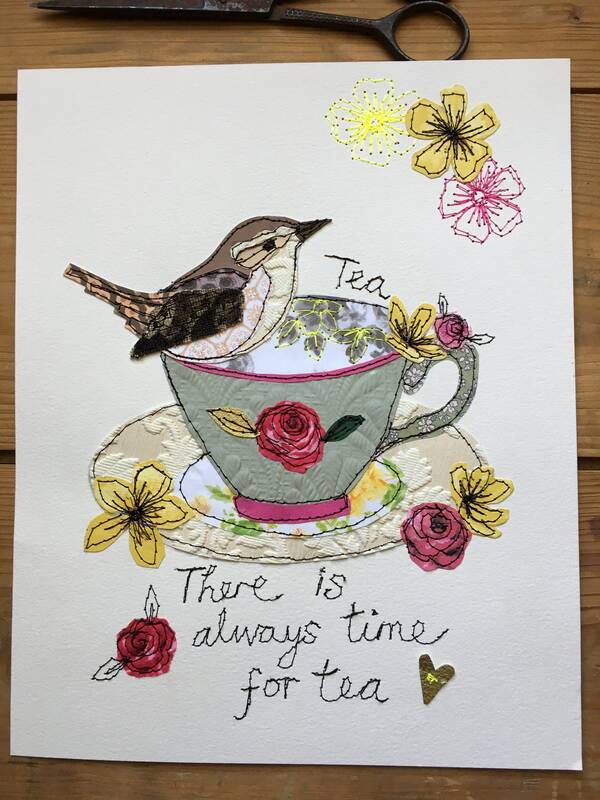 This little wren has found a perfect perch ... time for tea! 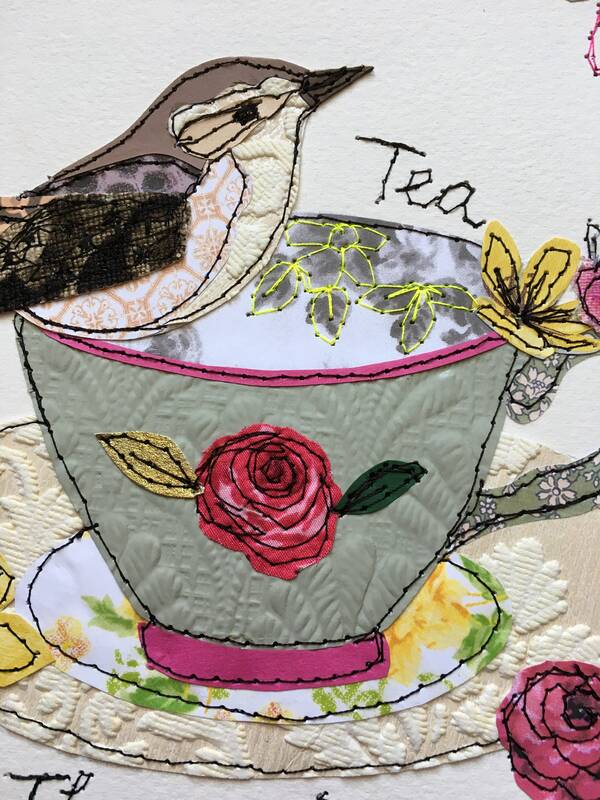 Lovingly and carefully created using a selection of vintage fabrics, wallpapers, printed papers and hand drawn elements. 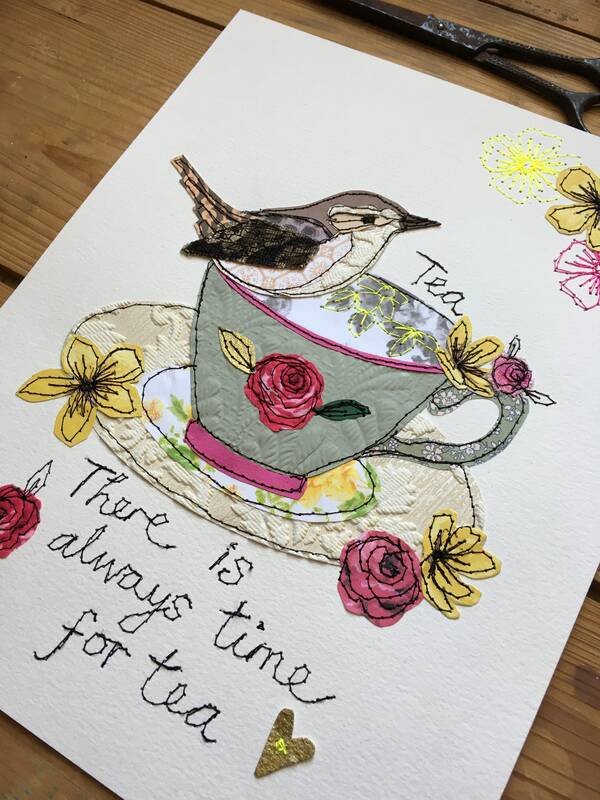 Free hand stitched on the sewing machine onto a background of watercolour paper. You are viewing an original piece of art which has been lovingly stitched by me, each one being unique.